In 10-inch skillet, cook 1 lb ground beef over medium heat, stirring occasionally, until brown; drain. 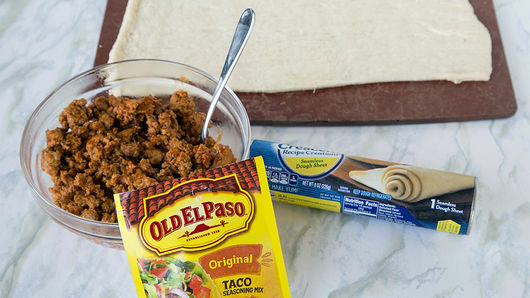 Add 1 package (1 oz) Old El Paso™ taco seasoning mix and 3/4 cup water. Cook until water is mostly absorbed, stirring occasionally. Remove from heat; cool. 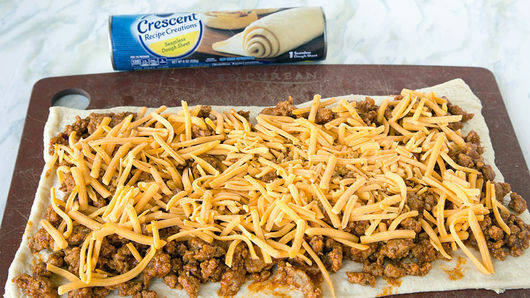 Unroll 1 can (8 oz) Pillsbury™ refrigerated crescent dinner rolls or 1 can (8 oz) Pillsbury™ refrigerated Crescent Dough Sheet. Press perforations to seal if using rolls. 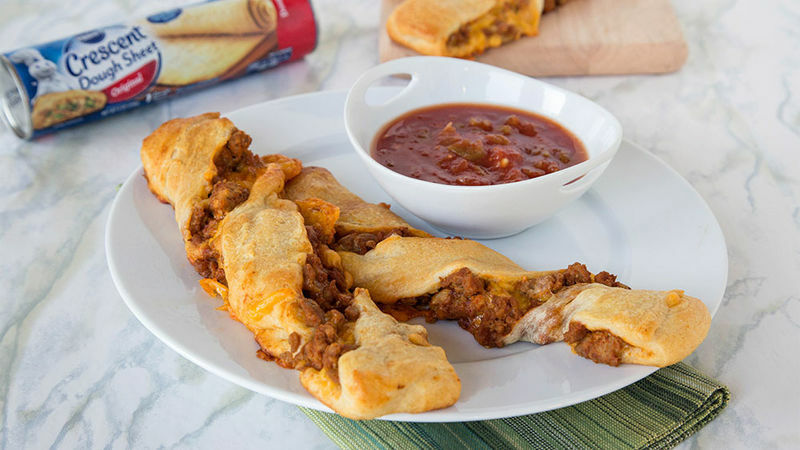 Spread cooled beef mixture evenly over dough, leaving 1/2-inch border on all sides. Sprinkle 1 cup shredded Cheddar cheese (4 oz) evenly over top of beef mixture. Unroll another can of dough just like the first one; again, press perforations to seal if using rolls. 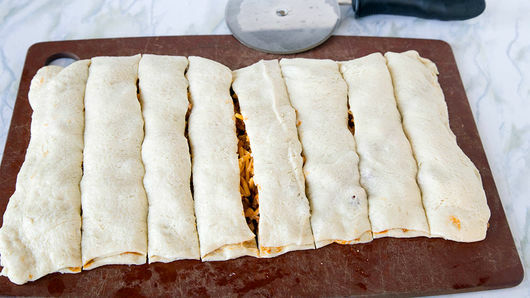 Place dough on top of other sheet of dough. Press edges to seal. Using sharp knife or pizza cutter, cut widthwise into 8 strips. Gently place strips on ungreased cookie sheet. Twist top and bottom of each strip 1 complete rotation, in opposite direction of each other. Bake 13 to 15 minutes or until golden brown. Use any ground meat that your family likes: beef, turkey or even chicken. 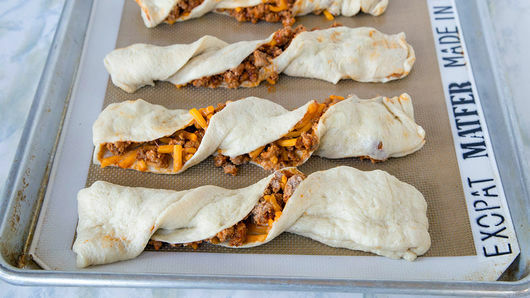 Make sure the taco meat is cool when you are assembling your twists, or the dough with get mushy and hard to work with.